Photography collectives are perhaps one of the most enriching aspects of the photographic experience. Their social dynamic push the collective’s members to improve and to maintain focus, thanks to various projects they may undertake. At the time of writing this article, in which we presented 5 photography collectives that are doing interesting work around the world, we came across another type of group. These collectives had not themselves decided to join together but were instead brought together because of an idea spawned by an entity foreign to them. This phenomenon has become quite common worldwide and is allowing us, as the audience, to dig deeper and potentially understand a situation which may otherwise not have been documented. Indeed, the beauty behind documentary photography doesn't reside in the taking of the images, but in the access and the depth with which you can document a phenomenon or a subject. In 2014, Syrian children were given cameras to show, from the inside, the struggles of the refugees living in the Za’atari camp, which was the world's second-largest refugee camp at the time. Almost 50,000 Syrian children were cramped together in the camp, located on the Jordan-Syria border. The children have provided a very honest look at the inside of the camp. You can see some of the images here, here and here. The Through Your Eyes photo project put 100 disposable Fujifilm cameras into the hands of people living on the streets of South Carolina. They also gave hope and joy to the people behind the cameras and the satisfaction of having their own vision displayed at the Chapman Cultural Center. You can see more about the project here. For more than 25 years, FotoKids has been working as a non-profit organization that tries to break the cycle of poverty and vulnerability through art and technology. The NGO was founded by Reuters news service photographer Nancy McGirr in 1991. The organization began with a group of six children who lived and worked in Guatemala City’s vast garbage dump. The big goal is to help not just the Guatemalan youth, but also young people from the poorest places via the use of photography projects. You can learn more about this incredible project here. This is perhaps one of the most popular projects you can find on the web where cameras were given to people who are not necessarily photographers to get a glimpse of their lives. Cafe Art in the UK launched this initiative to allow homeless people in London to express themselves through a lens. They gave 100 Fujifilm disposable cameras to the homeless; 80 cameras were returned, and ~2,500 photos were developed. Twenty photos were chosen by some seriously qualified judges from Fujifilm, Amateur Photographer, the London Photo Festival, Christie’s, and Homeless Link. Basic training was provided at the beginning of the project by the Royal Photographic Society, and the homeless people were “commissioned” to take photographs that complied with the theme “My London” to create a calendar. Here you can read more about the project, and here you can see some of the photographs that were taken by the people Cafe Art empowered with the cameras. 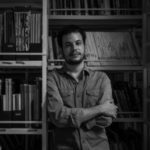 Observatório de Favelas is a social organization that focuses on producing knowledge and developing policy proposals for slums and urban problems. The Observatório aims to implement a “Right to the City” program, based on a new definition of slums, and extending it to public policy. They are doing this via a project called “Programa Imágenes del Pueblo”, where people from inside the favelas photograph their daily lives and contexts. The idea of this program is to train humanitarian photographers who live in these communities and through photography promote human rights and democracy. You can see some of the images produced in 2015 here, and you can keep track of the Observatório de Favelas here. Projects like the ones above could help communities – and especially the most vulnerable people in them – in many ways. With these projects, you can open up the opportunity for people to experiment with an artistic means of expression, and develop a passion for aesthetics. These initiatives also promote interactions in public spaces, something that is becoming increasingly scarce due to the rise of digital communication. These projects have succeeded not only in making young people interested in their own traditions and daily activities, but also in preserving the context in which they live.